The holiday season has officially begun! I can't believe next week is Thanksgiving. It always sneaks up on me. I was having a hard time deciding which holiday card to use for my family this year, so I placed in some old photos and ordered some samples of a few of the designs I have available at Tiny Prints. I have to say.....the new glitter cards Tiny Prints added last year are the coolest thing ever to me. I can't even photograph it accurately to show all that shimmer and shine! You really have to see them in person. It's glitter that does not fall off -- no mess!! Designing for glitter cards is so much fun, and I love the way this one looks printed. But then, there is gold foil. Gold foil just always makes me swoon! And I love these playful dots. There is a little Boomerang clip on my INSTAGRAM where you can see this one in dazzling action :). These are some of the special formats offered in the holiday collection this year. See all my designs here >> STACEY DAY HOLIDAY CARDS >> and remember that a lot of the designs are available in several different formats to allow for more or less photos and alternate greetings. 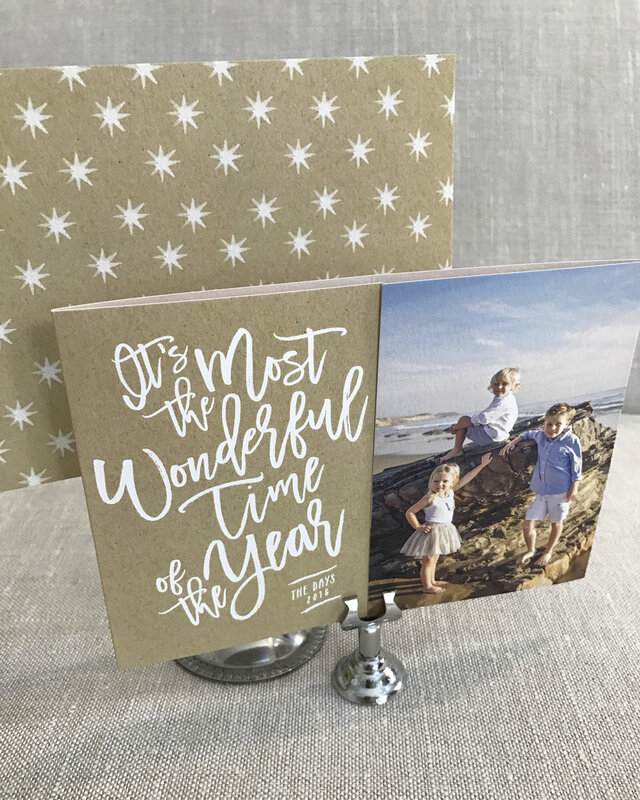 Time to shop for your HOLIDAY CARD at Tiny Prints! Also, if you would like a special friends and family discount for 40% off + free shipping, you can email me to receive the code. I can't post it here, but I am happy to share with anyone who wants to take advantage of the offer! Cheers! !